Have you ever wondered why most of the grown-ups you know have become given-ups, and have you noticed the frustrations that most adults are going through living average lives? 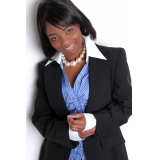 Have you ever dreamt or have the desire of becoming a millionaire, even in your teen years or maybe later? 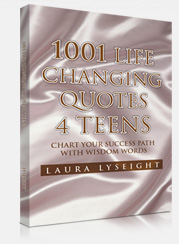 Author Laura Lyseight prepares the teens to becoming the next teen millionaire in her new book The Teen With a Millionaire Mindset. The kind of mindset a teen has is crucial to his achievement in life as a whole. 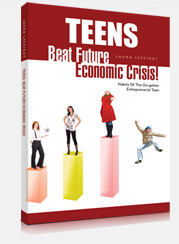 In The Teen With A Millionaire Mindset, Lyseight presents brilliant insights to help the teens develop a positive mindset—a millionaire state of mind that will bring them to a very rewarding life. Throughout this book, the author discusses the truth on how one’s mindset can make or break him. This lucrative instrument will give the teens a chance to change their outlook in life—to aim high and become positive—and to prepare them to shift their consciousness and awareness to abundance. This book throws light on how most minds are untapped and exposes the hidden capabilities of the young millionaire’s mind. It is everybody’s rightful position in life. Once you start thinking right at this stage in your life, the rest will be history, because you will surely make your millions and even billions. “Millionaires are made, not born,” the author said. “Find your unique path to make your millions, discover your magic recipe. You are created with such power and ability, my millionaire teen. Do not ever think you are asking for too much. It is your rightful inheritance,” she added. In my teen days, I used to marvel at why some people were rich, while most people were broke. What amazed me the most, was how some folks could make millions and loose it all, but then in a few years they were back to their riches. I knew they had a secret recipe that the broke masses knew nothing about. Start right now, to tap into what they know and do, as I can assure you that, where your mind is, your whole body will follow. “Follow your God inspired path, so you will be in a better position to help yourself and others”. From my teen years, I always wanted to know what made some people rich, while most people were living average or below average and were broke all the time. After discovering some truths and from my own experiences I came up with the inspiration to write this very insightful, motivating and challenging book to make teens and adults aware of the abundance God has already created. A book not just for teens, but for adults alike. A great eye- opener. This self-help book has shifted my thinking forever. Not many books have the same effect on me like this book. Find out for yourself.